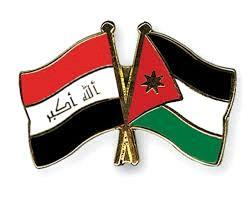 AMMONNEWS - Jordan and Iraq started implementing articles of the Memorandum of Understanding (MoU) recently signed in information and communications technology (ICT) areas. The MoU was signed last Thursday by Minister of Information and Communication Technology Minister Muthana Gharaibeh and his Iraqi counterpart Naim Al-Rubaie, who is currently visiting the Kingdom to get a first-hand look at the latest developments of this sector in Jordan. The two ministers discussed mechanisms and steps to move forward in implementing the memorandum, study prospects of technology-transfer to Iraq as well as ways to enhance cooperation and explore investment opportunities to contribute in developing ICT sector and internet services in both countries. The two officials held meetings with leading ICT companies in Jordan, including Zain, Orange, Umniah, Al-Nayi, Damamax and VTEL Jordan companies, to explore investment opportunities between the two countries in ICT field.